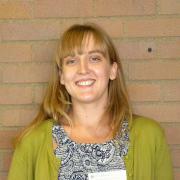 Arlie is in the urban studies Ph.D. program at Portland State University. He has a master’s degree in city planning from UC Berkeley and previously worked in TriMet’s project planning department as a community affairs specialist. 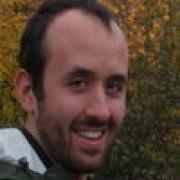 Adkins’ dissertation research explores the determinants of recent mover travel mode choice. New movers provide an opportunity to observe behavior adoption in new contexts and they are more likely to consider changes to their daily routines, making them an ideal target population for efforts to shift travel behavior. In his dissertation he will model the direct and indirect effects of the built environment on the proximate causes of behavior: attitudes, perceived behavioral control, social norms and behavioral intention. Adkins’ fellowship is supported in part through an Institute for Sustainable Solutions grant. In 2013 he presented research at the Transportation Research Board's annual meeting in Washington, D.C.
Alex Bigazzi is a Ph.D. student and researcher at Portland State University in the department of Civil & Environmental Engineering. His primary research interests are transportation-related air pollution emissions and air quality, and transportation systems modeling. Alex is a U.S. National Science Foundation Graduate Research Fellow, currently studying the effects of urban transportation systems on bicyclists' intake of traffic-related air pollution. He has published papers in transportation and environmental science journals on intelligent transportation systems, motor vehicle emissions, and traveler exposure to air pollution. Alex has received several conference "Best Paper" awards, and his Master of Science thesis was selected for the Pikarsky Award for Outstanding M.S. Thesis in Science and Technology from the Council of University Transportation Centers in 2011. Katherine was born in Edinburgh, Scotland. She moved to Corvallis, Oregon with her family in 1981. She graduated from Iowa State University (ISU) with a B.S. in Civil Engineering and a minor in Music. Her time at ISU was combined with education and work experience in the UK. After finishing at ISU in 2003, she returned to Oregon to begin her career as a Civil Engineer. From 2003 to 2009, Katherine worked as a Project Manager and Civil Engineer for HDJ Design Group, a consulting firm in Vancouver, Washington. 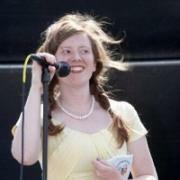 She then spent 2009-2011 working as a Pavement Engineer for the Oregon Department of Transportation. 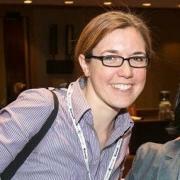 Katherine began work towards a Master's degree in Transportation Engineering in September 2011. She is currently working with Dr. Miguel Figliozzi as a Graduate Research Assistant in the Intelligent Transportation Systems (ITS) Laboratory. Katherine is a licensed Professional Engineer (P.E.) in the states of Oregon and Washington. Her research interests include freight (planning, modeling and performance measures), transportation emissions, and sustainable transportation systems. During her time at PSU she has held officer positions in PSU's Students in Transportation Engineering Planning (STEP) club and has been an active member of the Women in Transportation Seminar (WTS) Portland Chapter. In her free time she enjoys backpacking, hiking, biking, yoga, gardening, reading and music. Joseph Broach moved to Portland in 2006 after completing a B.A. in liberal studies and M.A. in economics at the University of Montana. 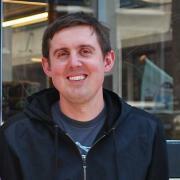 Interests in transportation and decision making led him to the urban studies Ph.D. program at Portland State. Broach has worked on research projects related to transportation data and modeling, and helped design the next-generation bicycle model for the Portland region in conjunction with Metro. He co-founded PhT, a research-focused discussion group for Ph.D. students in transportation. Broach hopes his dissertation will help improve modeling of walk and bike mode choice. His research will consider a more complete mode choice behavioral framework that acknowledges the importance of attributes along the specific walk and bike routes that travelers are likely to consider. His dissertation fellowship is supported in part through anInstitute for Sustainable Solutions grant. In 2013 he presented research at the Transportation Research Board's annual meeting in Washington, D.C.
Kristina was born and raised in Oregon. She became interested in transportation and travel behavior while getting her undergraduate degree in Civil Engineering at Oregon State University. This is her third year as a graduate student in Civil Engineering at Portland State University as she works to pursue a doctorate in Transportation Engineering, focusing on the relationship between travel behavior and land use. Her work is motivated by her personal interest in improving the ways in which we plan for development, ultimately giving communities more choices in how they live and how they get around. Kathryn Doherty-Chapman has a bachelors degree in Geography and Urban Studies from Temple University and recently completed her masters of Urban and Regional Planning at PSU. After working in community economic development and youth bicycle education in Philadelphia, she decided to return home to Portland to focus on her main interest — transportation, specifically walking and bicycling. Being from Portland, Kathryn loves hiking and camping, volunteering with advocacy groups like Oregon Walks, good beer, karaoke, and her cat Norman. Kathryn's workshop project was Lombard Reimagined, a neighborhood corridor visioning project, seeking to make North Lombard Street a pleasant and safe place to walk, and to serve as a street that unites the surrounding neighborhoods rather than dividing them. Learn more about this project at www.lombardreimagined.com. Michael Eagle is from Medford, OR and is pursuing a Bachelor’s Degree in Civil Engineering at the Oregon Institute of Technology in Klamath Falls. His career goals are to become a professional engineer (PE) and a professional traffic operations engineer (PTOE). He would also like to earn a Master’s degree, after working in the industry first. He will be interning this summer at the Turner-Fairbank Highway Research Center in Mclean, Virginia and looks forward to seeing the other side of the country. He likes to play soccer and he volunteers as a high school coach for a local soccer club each spring. 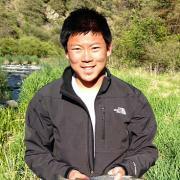 He enjoys fishing in the many lakes and rivers that are near Klamath Falls, and he will graduate in December 2013. Nick is a native Oregonian and calls Gladstone, a suburb of Portland, his hometown. He obtained his bachelor’s degree from Whitworth University in Spokane, Washington, where he learned that not all cities shut down when there is more than an inch of snow. Nick spent his undergraduate summers as an intern at the Oregon Department of Transportation, where he learned about the field of transportation planning. After graduating, Nick spent six years working as a transportation planner in the Boise, Idaho office of Kittelson & Associates, Inc. While at KAI, he had the opportunity to work on a variety of transportation projects, ranging from long-range multimodal plans to signing and striping plans. 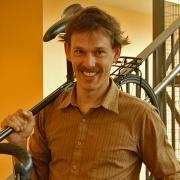 Nick’s primary interests are in the areas of safety and non-motorized transportation. He was drawn to Portland State University by the opportunity to be involved in research work that includes these interests. At Portland State, he is working with Drs. Monsere, Clifton, and Dill on a project to evaluate protected bicycling facilities around the US. Outside of transportation, Nick’s interests include just about anything that involves being outdoors, Trail Blazers basketball, and Timbers soccer. Rebecca grew up in Toledo, OH and has been happily exploring the great outdoors and urban jungle of Portland for the past 8 years. As the daughter of an ODOT engineer and a physical therapist, Rebecca is excited to begin a career where she can improve people's mobility and quality of life through safe, well-planned transportation networks. She is particularly interested in exploring innovative ways to retrofit auto-centric landscapes to accommodate and welcome people on foot. Rebecca holds a position as an appointed member of the Pedestrian Advisory Committee for the City of Portland and is the co-founder of Re-Thinking the Right-of-Way, and ad-hoc advocacy group which led a successful grassroots effort to introduce parklets to Portland. 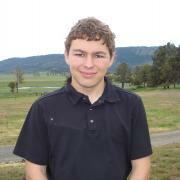 Dustin Hirata is a senior at Oregon Tech in Klamath Falls pursuing a B.S. in Software Engineering Technology and a minor in mathematics. A native Portlander, Dustin attended Grant High School where he and the Varsity soccer team captured the school’s first state championship title in 2008. At Oregon Tech, Dustin continues to play soccer, and twice has earned all-conference honors. A love for technology and software guided Dustin to his current studies, and co-creation of the Ultimate Traffic Count application. OTREC recognized him as a scholar for this work. He is now working on developing an application for elementary school teachers, designed to help them organize, manage students, and manage student activities in their classrooms. When not studying and writing programs, playing soccer, or assistant coaching the Oregon Tech Men’s Soccer squad, Dustin spends time with his wonderful family, enjoys traveling, practices his golf game, and volunteers for local charities and groups. Z achary has been a student at Oregon Tech since the fall of 2009. He is currently on track to graduate at the end of this school year. He enjoys fishing, hunting, and working outside. For this scholarship, he created a tutorial to simulate roadside parking in a program called VISSIM 5.30. This tutorial gave a step-by-step process on how to model roadside parking effectively and efficiently. To accompany this tutorial, he also completed a model that simulated an intersection, complete with roadside parking, moving traffic, and bicycle traffic. The bicycle traffic was modeled using an idea called "floating parking," which is also referred to as "buffered bike lanes." This idea takes the bike lane and protects it from moving traffic with a strip of roadside parking, helping to reduce the number of accidents between moving traffic and bicycle traffic. 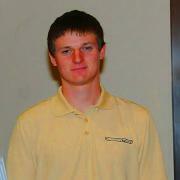 Jared is 19 years old and a junior in Civil Engineering at Oregon Tech. His interests in Civil Engineering include structural and transportation engineering. He has spent time studying the use of natural pozzolans in the form of volcanic ash, as a cementitious material in concrete and specifically pavement. When he is not studying for school he enjoys wrestling, doing 4-H with swine and pygmy goats, and working with kids at AWANA. His career goals include going to graduate school and going on to get his P.E. and getting a job in a structural/transportation field. Jennifer came to Portland from Wisconsin by way of Washington, D.C., where she spent a few years as a Fellow with the Environmental Protection Agency. She decided to go back to school to study urban planning because she wanted to help cities function as efficiently and adaptively as possible. She has been a Graduate Research Assistant with OTREC for the last two years, working on projects related to planning for climate change at transit agencies and peer-to-peer car sharing in Portland. 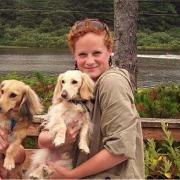 Jennifer will graduate with her Master of Urban and Regional Planning degree this June. Sirisha was born and raised in Hyderabad, India, where she obtained a bachelor's degree in Civil Engineering from Osmania University in 1999. She moved to Baton Rouge, Louisiana in 1999 to get a Master’s degree in Civil Engineering at Louisiana State University. Her master’s thesis dealt with updating a simulated household travel survey using Bayesian methods. 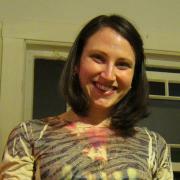 Today she is a Ph.D. student in Civil and Environmental Engineering at Portland State University. Her research investigates methods to incorporate pedestrian considerations into signal timing design. The role of walking in the development of healthy, sustainable and livable communities is being increasingly recognized. While this increased focus on pedestrians has led to infrastructure improvements, little attention has been paid to optimizing the transportation system for their benefit. 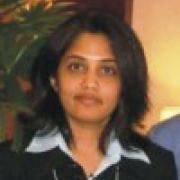 Sirisha's research looks into ways to optimize signal timing for pedestrians. 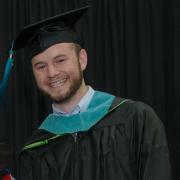 Adam arrived in Portland in 2009 after completing his B.S. in civil engineering at Georgia Tech. He earned his M.S. in civil engineering in 2012, after working as a graduate research assistant with Dr. Miguel Figliozzi and becoming heavily involved in the student transportation group STEP. Adam is now pursuing his PhD under Dr. Figliozzi. His research interests center around the connection between transportation and air quality, including exposure to air pollutants for users of the transportation network in urban areas. Outside the research lab, you'll find Adam on his bike, enjoying a beer or two at the countless microbreweries, or on the snow on Mt. Hood. 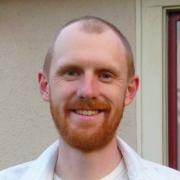 Chris is a Ph.D. student in the Civil & Environmental Engineering program at Portland State University. He recently completed his master's thesis, "Understanding Travel Modes to Non-work Destinations." His main research interests are active travel mode choices, transportation economics, and attitudes and perceptions. 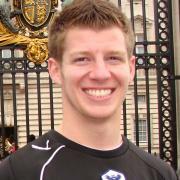 At PSU, he has worked with Kelly Clifton since 2010 and served as President of STEP from 2011-2012. Before moving to Portland in 2010, he earned a B.S. in Civil & Environmental Engineering from Penn State University and worked in the travel modeling group at DVRPC, the Philadelphia region's metropolitan planning organization. 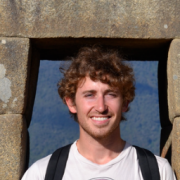 Patrick Singleton is a PhD student in Civil & Environmental Engineering at Portland State University, studying active travel behavior and travel demand. Under the direction of his advisor, Dr. Kelly Clifton, Patrick recently completing his master's thesis, examining the complex decision-making processes surrounding walking and bicycling and recommending how best to represent transportation choices and model travel demand. Although he grew up in Portland, Patrick recently returned from Pittsburgh, Pennsylvania, where he earned a BS in Civil Engineering from the University of Pittsburgh and worked in traffic engineering for consulting firm Michael Baker Jr., Inc. In his personal time, he advised the local transit agency as a citizen advocate and served as vice-president of his neighborhood association. Outside of school, you are likely to find Patrick exploring and photographing his current city. 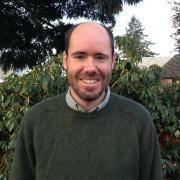 Oliver is a Ph.D. candidate in Portland State University’s urban studies program, studying travel behavior and health, and energy use as it relates to transportation. Smith’s dissertation research examines whether commute well-being is greater among users of active transportation modes than among motorized mode users. It also examines the connections between commute well-being and overall subjective wellbeing. The research is important in part because evidence of connections between active commute modes and well-being could help policymakers and advocates to better market active transportation policies. In 2012-2013 he has presented research at the Transportation Research Board's annual meeting in Washington, D.C., at Portland State University's TRB Aftershock, at the Oregon Transportation Summit and at the first Portland State research symposium. Growing up in southern Oregon, Ezra Stockton developed a great love for the outdoors. This is reflected in his hobbies, which include backpacking, fishing, and outdoor photography. When he took the calculus sequence a couple of years ago, he discovered his interest in the application of mathematics; and, ever since, he has been pursuing that passion through civil engineering. 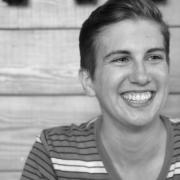 This passion has led him to the Oregon Institute of Technology where he is currently completing his sophomore year. He has also enjoyed getting involved in the OIT chapter of the American Society of Civil Engineers, in which he serves as the activities coordinator. Being selected as one of the OIT 2013 OTREC scholars has allowed him to explore his interest in air entrainment as an enhancing agent for freeze and thaw durability. He will be analyzing the relationship between compressive strength and freeze and thaw durability in concrete samples. He is thankful to be enabled to pursue his interests as he pursues his passion. Sam became interested in transportation and planning while studying abroad in Freiburg im Breisgau, Germany. After benefiting from the efficient transit service and excellent walkability there, he came back to the states with a gusto for safe, efficient, and environmentally sustainable transportation. Having finally figured out what to do with his Civil Engineering degree, he enrolled in Portland State to study transportation engineering. 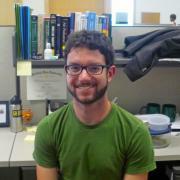 Sam's research interests include cyclist behavior and the comprehension and safety implications of new infrastructure. Originally hailing from Kansas, he has grown weary of The Wizard of Oz jokes, but is otherwise happy to call Portland his home, especially with the abundance of good coffee, micro brews, and stellar pie that PDX has to offer. Jake recently received a Master of Urban & Regional Planning from Portland State and is currently working as a research assistant at PSU. Originally from Salt Lake City, his transportation interests include public transit - particularly fare policy, service planning, and transit equity - and travel demand management. Jake's non-transportation interests include hiking, camping, bass playing, soccering, basketballing, and beering. Kyler Weisenback is a native of the small coastal town, Waldport, where he attended Waldport High School and worked at the local computer repair shop, Click Here. He now attends Oregon Tech as a senior and is pursuing a dual B.S. in Software Engineering Technology and Embedded Engineering Technology. 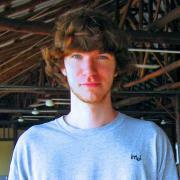 A lifelong desire to do something with computers led Kyler to OIT and to his work on the Ultimate Traffic Count application. OTREC has recognized him as a scholar for his work on this application. 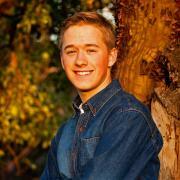 When not studying or programming, Kyler enjoys spending time with friends, traveling, and playing basketball.